The LG G2 Mini might arrive with a 4.7-inch HD display along with Qualcomm Snapdragon 800 chipset. LG is reportedly working on a mini variant of its recently introduced flagship, the LG G2. According to reports, the LG G2 Mini is in the works and will be showcased at next year’s Consumer Electronics Show, possibly with a different name. The display on the phone is expected to be around 4.7-inches, slightly bigger in comparison to the mini variants of the flagship phones from other brands like Samsung, Sony etc. There is no information on the resolution of the display, but we’re hoping it would support a resolution of 720p at the very least. Apart from the display, the leaked report also suggests that the phone will be powered by a Qualcomm Snapdragon 800 processor along with 2 GB of RAM, similar to its elder sibling. The design of the phone is expected to be similar to LG G2 with the volume rocker and power buttons located on the back panel. 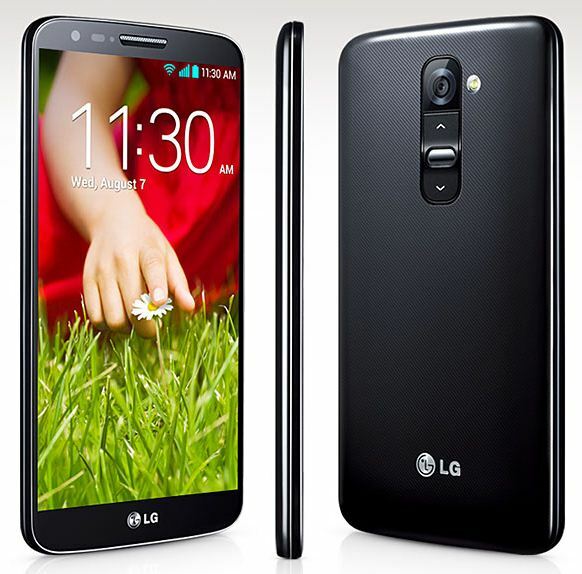 The LG G2 was introduced with a 5.2-inch full HD touch screen display with a pixel density of 423 ppi. It runs Android 4.2 Jelly Bean, but the miniature edition is expected to arrive with a newer iteration. So, the LG G2 Mini, or whatever it will be called, could be introduced in the CES at Las Vegas next year. Since the news is pure speculation at the moment, it should be taken with a pinch of salt.